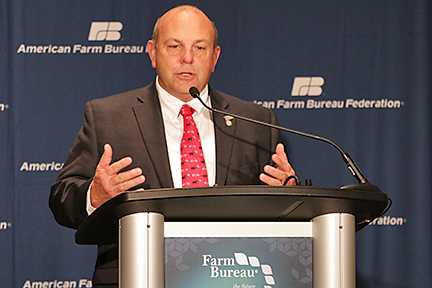 “The president’s nomination of David Bernhardt as Secretary of the Interior is great news for American agriculture. He understands the needs of America’s farmers and ranchers and is an excellent choice for Interior Secretary. “Bernhardt’s proven leadership while serving in the roles of deputy and acting secretary for the Interior Department has helped restore the multiple use of America’s public lands, through regulatory efforts to reform the outdated and ineffective Endangered Species Act, streamline the National Environmental Policy Act, and promote outcome-based grazing across our nation’s rangelands. Additionally, Bernhardt has been successful in leading a comprehensive reorganization of the Interior Department to improve the effectiveness and transparency of DOI bureaus.